Surprises me that Langey didn't start this much earlier. Was counting on them. They want everybody to get afraid by only the sight of a trashcan which soon all have to be removed. They are so freakin' predictable. Will start in Europe soon too. Trashcan's all over the place so fear all over the place. Now the Bombs are Exploding in America! The FBI is already putting Fear in the airwaves: as to 'scare' us! What a Joke! Donald Trump confirmed that the explosion in New York City Saturday night in the Chelsea dumpster was a bomb and was attacked by the mainstream media. Media analyst Mark Dice explains why. Facebook meanwhile has activated its â€˜Safety Checkâ€™ feature so that social media users can notify their loved ones of their safety. 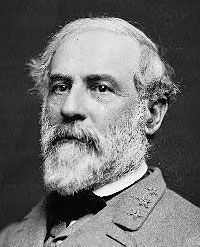 â€œOh God go against America, the head of infidels. Supporters of the Islamic State rushed to celebrate Saturday nightâ€™s powerful explosion in New Yorkâ€™s Chelsea neighborhood that injured at least 29 people, even as no group or individual has been arrested or claimed responsibility. UPDATE: Dahir Adanâ€™s father, Ahmed Adan, says that police identified his son as the slain attacker. He says police didnâ€™t mention the attack on the mall, but they seized photos and other materials from the familyâ€™s apartment. Authorities havenâ€™t publicly identified the attacker. 100% FALSE FLAG. This exact type of bs was predicted years and years ago, the notion of "IED's" in America. All thought up long ago by RAND Corporation, CSIS, et.al. ... the 'coincidence theorists' are having a field day. Clearly a framed patsy who they always kill immediately because dead men tell no tales. CNN Edits Out Hillary's Reference To NYC Explosion As "Bombing"
Authorities in New Jersey were investigating a suspicious device found Sunday night in a trash can near a train station, which halted Northeast Corridor line service. Elizabeth Mayor Christian Bollwage said two men called police and reported seeing wires and pipe coming out of the package after finding it about 9:30 p.m.
Reporters at the scene reported early Monday hearing a loud explosion and smelling gunpowder after Bollwage earlier said the Union County bomb squadâ€™s robotic device indicated the package the men left near a train trestle could be a live bomb. He said the FBI and state police would decide how to remove the device. Bollwage said on his Twitter account that there was no immediate threat to the public. New Jersey Transit service was suspended early Monday between Newark Liberty Airport and Elizabeth, and New Jersey-bound Amtrak trains were being held at New York Penn Station, officials said. Riders reported being stuck on Amtrak and NJ Transit trains for hours Sunday night, while some trains moved in reverse to let passengers off at other stations. The discovery of the suspicious package comes a day after an explosion in Manhattan injured 29 people, and an unexploded pressure-cooker device was found four blocks away. Also Saturday, a pipe bomb exploded about an hour from the Elizabeth train station in Seaside Park, New Jersey, forcing the cancellation of a military charity 5K run. Officials said it didnâ€™t appear that those two incidents were connected, though they werenâ€™t ruling anything out. New York (CNN)Federal and local authorities are investigating another suspicious item after a backpack was found containing up to five devices in New Jersey on Sunday. The backpack was found in a wastebasket in Elizabeth, New Jersey, outside a neighborhood pub and located about 500 feet from a train trestle, said the city's mayor Chris Bollwage. "Whoever threw it into the can was probably trying to get rid of it. It's not in a highly congested area," Bollwage told CNN. On Sunday around 9:30 p.m., two men found the backpack in the garbage can and alerted police when they saw wires and a pipe, he said. No cell phones or electronic timing devices were found on the devices, the mayor said. There is no indication whether the latest incident in Elizabeth is connected to the bombing in a New York City neighborhood that injured 29 people and the explosion from a garbage can near a charity run in New Jersey. In the other New Jersey incident, investigators discovered three pipe-bomb-type devices wired together, but no one was wounded. An FBI Bomb Squad arrived on scene and a robot was sent to examine the devices. "The robots that went in to disarm it, cut a wire and it exploded. I know there are other devices, I don't know what they're made up of but they're going to have to be removed," Bollwage said. The device was detonated in a controlled setting, he said. The sound of the explosion reverberated loudly as heard on video filmed by local media. Police checked all garbage cans in the immediate area, but found no other suspicious items. However, what I do know is that If I donâ€™t do what needs to be done nobody will pay attention. LGBTQ+ people are much more likely to commit suicide than straight cisgendered people. It seems that nobody cares, however what if people from the LGBTQ+ community started lashing out in response to the violence and oppression we face with violence and possibly oppression? Iâ€™m sure that would give people a reason to not stand by while so many people are being oppressed. I suppose Iâ€™m just going to have to move forward knowing that what I am doing had a purpose and will in fact make a difference. Iâ€™ll keep you all posted. You probably have all seen the news by now, the explosives detonated in New York City, that was me. Those were just some tests, I know where I have made errors and I will not make the same mistake next time. I did it because I cannot stand society. I cannot live in a world where homosexuals like myself as well as the rest of the LGBTQ+ community are looked down upon by society. It is 2016 and we are still being viewed as mentally ill, sinners, attention seekers, and just plain weirdos in general. I am not going to stand by while under classed and underprivileged people are oppressed. I am not going to stand by while there is inequality in my country such as the racism being seen in white police officers all over the country. I am not going to live in a country where it is OK to have a misogynist, xenophobic, racist Islamophobic, republican candidate running for President of The United States! Thatâ€™s implying that republicans in general should even be taken seriously as they are all cisgendered privileged white people. CHELSEA, Manhattan (WABC) -- The FBI is questioning five people who were taken into custody in connection with Saturday night's bombing in Chelsea, as they worked to determine whether there was a connection the device that exploded in Chelsea, an unexploded pressure cooker device blocks away, a pipe bomb blast in Seaside Park, N.J. and five explosive devices at a train station in Elizabeth. At 8:45 p.m. Sunday the FBI and NYPD conducted a traffic stop of a vehicle of interest in the investigation into the Chelsea bombing. The men were in a car stopped on the Belt Parkway. They were headed from Staten Island to Brooklyn on the Verrazano-Narrows Bridge. Five people inside, possibly family members and from New Jersey, were taken to an FBI building for questioning. There were concerns they may have been on their way to the airport. No one has been charged yet with the explosion, and the investigation is currently ongoing. There is a growing belief that the bombings at Seaside Park and in Chelsea are connected. Authorities say all three of the bombs had flip phones, even though there are some differences in design. The Seaside explosive device involved pipe bombs tied together, and sources say it was timed to detonate when the race began. "It is 2016 and we are still being viewed as mentally ill, sinners, attention seekers, and just plain weirdos in general." This is not terrorism. This is made-for-TV terrorism. Like one of those crime drama serials. Another weapon of mass distraction. Authorities started a fierce search Monday morning for the first person sought in connection with weekend bombings in New York City and New Jersey. 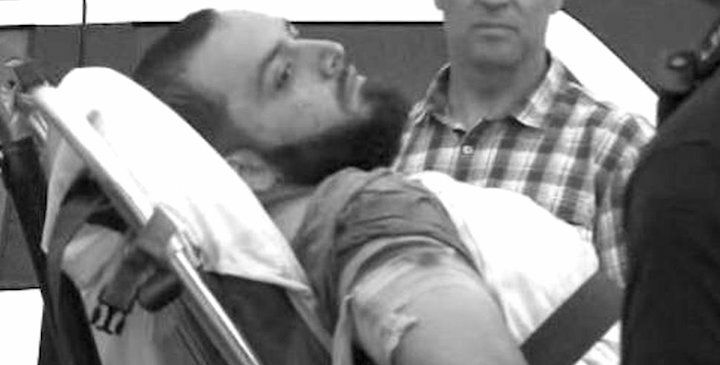 Ahmad Khan Rahami, 28, is the first person identified in connection with the bombings. New York City Mayor de Blasio said Rahami is believed to be armed and dangerous. Rahami is a naturalized United States citizen who was born in Afghanistan, according to the FBI. His last known address was in Elizabeth, N.J., the city where authorities found pipe bombs in a garbage can Monday morning. Hundreds of thousands of undocumented immigrants living in the nation's most populous city now qualify for identification cards under a new City Hall program aimed at keeping track of New York's growing immigrant population. Mayor Bill de Blasio's IDNYC program launched Monday throughout the city's five boroughs. The ambitious outreach effort has been hailed by proponents as a way to make immigrants safer, while critics have decried the de Blasio administration for extending benefits to the city's many illegal residents. Applicants won't be asked about their immigration status. The card can be used to open a bank or credit union account, and obtain residential benefits from City Hall. Itâ€™s the nightmare scenario authorities warned could happen â€” an immigrant who may not have been properly vetted is a suspect in a series of bombings in New York City and New Jersey. After hours of frantic searches, authorities say theyâ€™ve captured Ahmad Khan Rahami, a naturalized U.S. citizen from Afghanistan who was wanted in connection to the weekendâ€™s bombings in Manhattanâ€™s Chelsea neighborhood and an explosion in Seaside Park, New Jersey. According to reports, Rahami was taken down by authorities after engaging police in a shootout early Monday morning. The danger hasnâ€™t passed, however. Cops warn that there could be a larger terror cell is operating in the area. In addition to the blast in Chelsea on Saturday, a pipe bomb exploded in a New Jersey shore town before a charity 5K race and an unexploded pressure cooker device was found blocks away from the explosion site in Chelsea. On Sunday, five homemade bombs were discovered at a New Jersey train station, one of which exploded when authorities tried to disarm it. Fox News is floating THE LONE BOMBER THEORY, that everybody is safe, and all is well. They are reporting that ALL OF THESE BOMBINGS ARE RELATED. Shep Smith said he lives about 10 blocks from where Rahami was shot. Shep also said that nobody he knows is afraid. IMO, it is too early to call this ALL SAFE. This guy could be part of one of those SLEEPER CELLS. Remember the video they recovered? There were 3 people in the video including Rahami. The day Ahmad Khan Rahami allegedly planted two bombs in Chelsea â€” one of which detonated on West 23rd Street â€” two thieves accidentally helped to disable his second pressure cooker bomb left inside a rolling suitcase on West 27th Street, sources said. This report also claims police â€œfound a website where Rahami allegedly posted jihadist missivesâ€� on the phone left with the bomb. These type of frivolous lawsuits by Middle Easterners will be the wave of the future in the USA. More at the link. The family of the Chelsea bombing suspect has a history of legal troubles with officials of their New Jersey town â€” filing a federal lawsuit against the city of Elizabeth claiming they had been unfairly discriminated against because of their race and ethnicity. Ahmad Khan Rahamiâ€™s family sued the city following a ruling from the city council that forced them to close their 24-hour restaurant, First American Fried Chicken, at 10 p.m. every night because of noise complaints from people who lived nearby. â€œThey kept getting complaints from neighbors. It was a distress to people in the neighborhood,â€� Mayor Christian Bollwage said at a press conference Monday morning outside the Elmora Avenue restaurant, which Rahamiâ€™s family lived above. The lawsuit, filed in 2011, named the mayor, the city council and 20 police officers. I just saw a news conference. The mayor was talking about the 24 hour fried chicken place. He did mention that the city WON THE LAWSUIT. But he did not mention the reason why the RAHAMI FAMILY filed the lawsuit----because they thought they had been unfairly discriminated against because of their race and ethnicity. TALK ABOUT BEING POLITICALLY CORRECT. Once SWAT made entry into the unit, they detained four people, including a juvenile. Inside, they found the rifle, which was equipped with a long-distance scope, and 500 rounds of ammunition. Cocaine and hashish, as well as drug paraphernalia, were also discovered. â€œOur officers quickly saturated the area, established a perimeterâ€¦ when it was safe to do so, we made entry into that apartment that is connected to the rooftop. Inside there were four males which were immediately detained. We also have recovered an assault rifle within that unit with lots of ammunition,â€� said Ernesto Rodriguez with the Miami Beach Police Department. That's why I coined the term 'campaign bomb' for this 'well timed' operation. The bomb went off in Chelsea. Takes away from all the people questioning Hillary about her health and going to her daughter, 'Chelsea's' apartment for treatment on 9/11. The name was way to coincidental to me. 'On their radar' which is code name for providing material support for an attack to entrap them later. donnay you are correct: as the past events are 'Staged' and we can see it! ...GOD is showing the world, that coincidence is not a Kosher Word! ...I believe we will see more Bombings as The Holidays start! I pray your wrong...but deep down in my gut I know you are right. So was his name Mohammed ? Witness Jayne Wilkinson said: 'We were taking photos of Big Ben and we saw all the people running towards us, and then there was an Asian guy in about his 40s carrying a knife about seven or eight inches long. 'And then there were three shots fired, and then we crossed the road and looked over. The man was on the floor with blood. Great, another staged event. Why do they always pick the same "crazed lunatic" guise? Wouldn't surprise me if he dies so we never get to hear vital testimony on who his handler was. I liked you better when you were a moderator. Up to a dozen innocent pedestrians were mowed down on Westminster Bridge by grey 4Ã—4 which then crashed into the gates outside Parliament. Earlier reports suggested sounds of an explosion were heard but this has not been confirmed. The attack took place on March 22, one year to the day since a coordinated string of attacks in Brussels left 31 people dead. More than 100 were wounded in the series of blasts at that nationâ€™s biggest airport and a metro station. The Islamic State claimed last yearâ€™s attack.